It has rarely ever happened that I had gotten something without hard work. I cannot consider myself lucky in that sense because I have to shed sweat for everything I get but I have been privileged nonetheless! Well I won't crib for long..I had been doing it every time I lost a bomb in Tambola or spin the wheel type of things. But well, things do change and that happened ten days back. As you all know by now, I love blogger meets. I love socialising and it is one of the best ways to do it. Blogmint, a new blogging community organised its first meet this month and named it #Techminter50. It was at an upscale place..the Striker Pub and Kitchen Vasant Kunj. 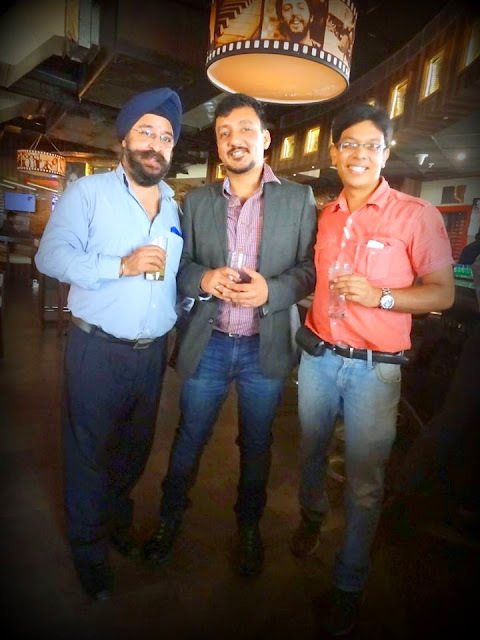 A blogger meet at Striker followed by shopping at my favourite malls of Vasant Kunj; what more could I have asked for? To start with this meet was very different from the previous ones I had attended. 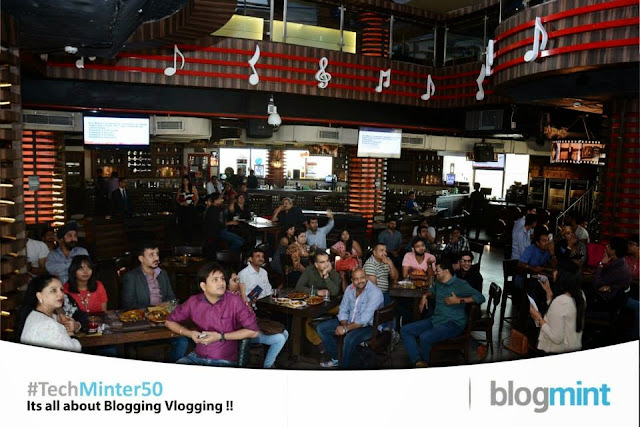 It was a very open discussion between the bloggers and the marketing people from various brands. There were panels from both sides and we were free to shoot them with whatever questions had been haunting us. I could clear a lot of myths which I had in my mind. After the open discussions, came the most interesting part...A tech quiz!! A field in which I am a rookie, but that did not deter me from taking part! WE were quickly divided into teams of four and there formed around 13 teams! There was negative marking for each wrong answer and all the rounds were knockout! After a cuthroat competition between team 2, team 8 (ours) team 9 and team 12, WE WON!! The prizes were nothing less than a Casio G Shock watch! Yay!! After what followed was excitement (for us) and chaotic networking for the rest! We had a sumptuous lunch and loads of laughter and crazy photo ops! Finally it was time to say goodbye to our blogger friends and we all were given a cute Blogmint mug as a souvenir! I am fond of expensive watches and own a huge collection but did not possess a Casio G shock watch. I would always remember this day because I had never won something this expensive with so little effort from my side! I love my latest addition to my precious time piece collection! Going viral on you tube! three crazy bloggers trying to crash You Tube! looks so fun! 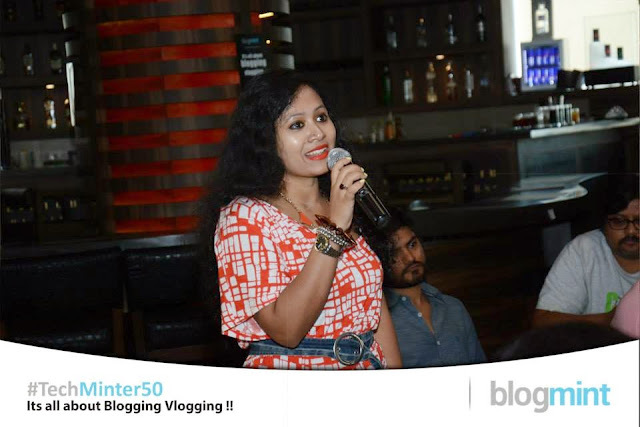 I want to go to a blogging event! Omg congrats on winning Mandira! I love Casio watches. You look marvelous. I love your dress. Happy Saturday! Such one to one discussions are rare in blogging events. I wish I could attend one such event. Congrats on the watch.